well - i have heard that we can use git with (on) Github and bitbucket. Is this true: Can i run git on both systems GitHub and bitbucket. That would be great. generally spoken: - afaik i can use Bitbucket with GIT - is this true? GitKraken connects to all 3 to clone/add repos, create/view PRs & more. Free for Windows, Mac & Linux! The biggest difference for me, is that for free BitBucket allows for non-public repositories. With Github you have to pay for this service. If you want a GUI client for Git, you can try GitHub Desktop. It's just a Git client, so of course will work with any Git repo (whether it's on GitHub, Bitbucket or somewhere else). Personally, I just use the command line most of the time, or at work the Git integration in my IDE (IntelliJ). GitHub and BitBucket are services that utilize the program. As for GUI's, I like SourceTree. It is an Atlassian product, but for seeing the repo tree, it works rather well. Though, there are times where the command line is just better and more easy to manage. It's also the version control system managed by that program. It's also a file system that underlies the version control system managed by that program. I know, I know, but it's true. - git itself is a tool for managing change. 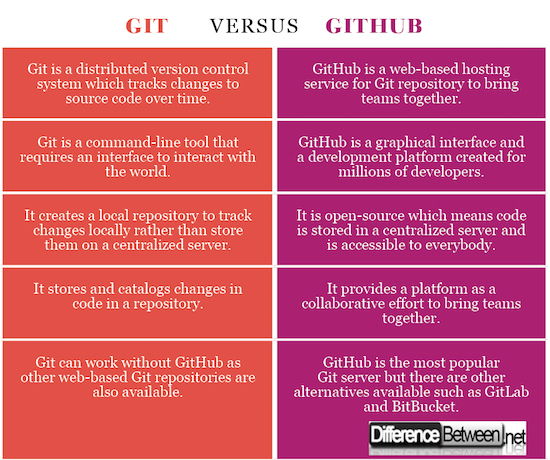 github and bitbucket are completely optional services that provide hosting for your git repositories, with some added conveniences (for example, the concept of the pull request is a github concept, not a git concept). Git is open-source and completely free for your use. - You can use git entirely locally, and in fact you probably should: any time you start a project, clear your decks and start a local repo, and commit your changes as you go. This will not give anyone else access to your code, but it will give you access to your history, which you will enjoy having. This is still free to you. - You can host a public git repo on any web server that you control. See git documentation. This costs you whatever your server costs. - If you want to do business with service companies, you can host your git repo at some place like github or bitbucket (other providers are available). This is priced according to the policies of the company you choose to do business with. The price might be $0 under certain circumstances, or it might be non-free. You are probably not dealing with open-source code at this point. Git is McGyver. Mercurial is James Bond. For general tree exploration, history viewing, and minor diffing, I use SourceTree as my GUI. For more complex branch history view (due to gitflow's preference to do non-fastfoward merges), I use GitKraken to try to unravel when something was introduced. Those are all reading operations. Almost always for write operations, I will pop open a CMD or Bash window and do my commits and merges there. Git is a Version Control System. It's just a program. 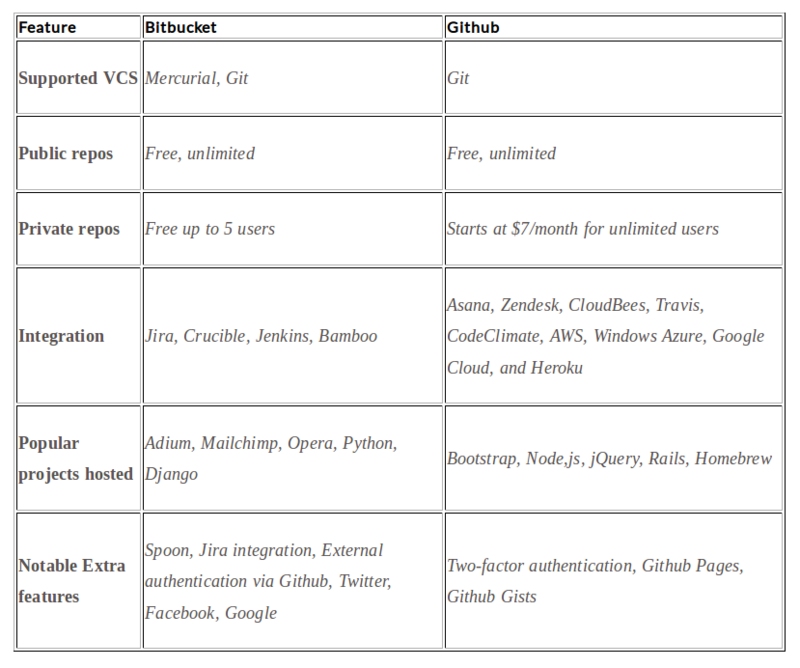 Git and Bitbucket and AzureDevops and tons of other online services utilize Git to offer version control management. Personally, I feel like git is easier to use in the command line/terminal than it is to use on a GUI. It sounds more intimidating than it really is, and I know that statement may sound gate-keepish, but its not. When I first began using git I spent a great deal of time trying to find a good GUI. Finally, I just stopped trying that and switched to termial and it just felt more natural to me. I was, of course, working with a fairly small codebase with a small team, so I'm not sure if I would've fared well with a large codebase, but it's something you should consider, at least. Of the GUIs I have used, however, GitHub Desktop version was probably the best. If you're not using emacs, yeah, command line is the right way to do it. Magit does not hide the complexities of Git; in fact, you most certainly need to know exactly what Git is doing in order to truly use Magit effectively. I like to think of Magit as a tool that removes the tedium of interacting with Git’s rather poor commandline interface. It does this very, very well. A lot of the other GUIs try (and fail) to hide Git's complexity and having to understand how git works. I think we are not yet at that tipping point where the technology inside git is hidden away the same way the technology is hidden away behind driving a car. Do I Need To Learn C# If I Learn Ruby On Rails? Programmer Vs Informatics Engineer - Need Your Opinion! What Are Your Thoughts On Bitbucket And Mercurial?